Do you like playing scrabble? How about blackjack? Enjoy handing out snacks or helping give out free clothing? Perhaps you like conversing, or listening to fascinating life stories? Then come on down and spend an evening volunteering with the diverse patrons of Operation Nightwatch! Volunteers play an important role in providing assistance, openness, and social companionship to those who come through our doors each night. Upon your arrival at 6:15 we will provide an orientation so you'll know how the evening will proceed. This orientation provides important information about safety, so please arrive on time! The Nightwatch Hospitality Center is a sanctuary for people living with homelessness, mental illness, addiction and/or poverty in downtown Portland. It is open from 7:00 – 11:00 p.m. on Thursdays, Fridays, and Saturdays. Its summer hours are 7:00 – 10:00 p.m. on Thursdays, Fridays, and Saturdays. Serving coffee and sandwiches to up to 130 guests, we provide a comfortable atmosphere for guests to socialize, play games, develop friendships and for our volunteers to be able to reach out to people who are disenfranchised from others. Our Hospitality Center offers our guests a safe, warm place to go when nothing else is open, and know they can find a welcoming, respectful environment. 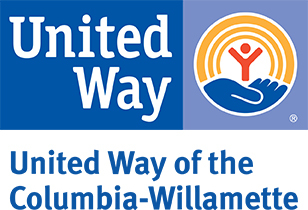 Whereas other agencies exist to provide services such as housing, food, and clothing to the homeless, low-income, and mentally ill, ONW’s unique vision is that these populations also suffer from simple social isolation. Our simple mission is to reach out to them, nurturing relationship. We welcome each person who comes to us, just as they are. No one is required to conform to any particular belief or faith practice in order to receive our services. Do you have Medical Professional Training that you'd like to share with our guests? Check out the "Happy Feet" Medical Volunteers (age 18+) opportunity for more details and to get connected! Volunteers must be 18 years of age or older to attend this project. If you plan to bring other guests to the event, you MUST reserve slots for them. The best way to do this is to create a Volunteer Team. You can then sign up your team for this project.